Vegan Runner Eats » Marathon Training » Week 14 of Marathon Training: All is not Lost! « Veggie-Loaded Vegan Enchiladas Recipe – a Plant-Based Dinner to Warm Your Soul! Week 14 of Marathon Training: All is not Lost! Week 14 of my marathon training plan also happened to be the first full week that we spent home after almost a month of being away (1 week vacation followed by 3-week-long trip to Seattle area). I was glad to be back to my old routine of blogging, cooking, running, and being amazed at how fast the time flies by when I’m busy! I’ve also managed to sell three sock monkey toys from my side business on Etsy (I sew classic Rockford Red Heel sock monkeys and other animals completely by hand and ship them anywhere in the world). Holidays are around the corner, so things are picking up on Etsy! I’ve been running in Brooks shoes for a few years now (as well as in Vibram Five Fingers occasionally), but this time I decided to try something new. This model is Mizuno Wave Inspire 9. It has much more cushioning and support than Brooks PureFlow that I was using before, so this took some getting used to for the first few minutes of my first run. After a couple 5-mile runs later in the weeks I gave myself a pat on the back for making a good choice: the new shoes were performing well and not causing any pain to my troubled left foot. Feeling better while running in my new shoes, I knew there was one more test that both I and my shoes had to pass in preparation for the marathon: one more long run two weeks before the race. This run was meant to show me if I still had good enough endurance after two weeks of hardly any running that followed my injury scare. I kind of knew that my fitness was going to still be there, but my confidence really needed a boost from a good long run. 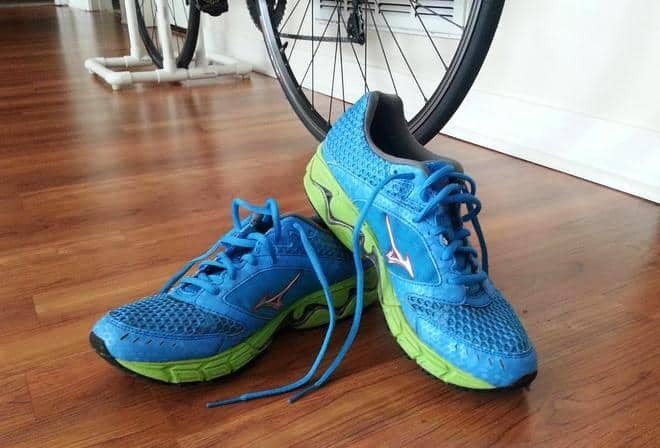 On Sunday morning, I went out and ran just over 15 miles in my new shoes, and thankfully, everything went fine. I was sore later in the day, but not out of the ordinary. In fact, as I’m writing this post the day after my 15-miler, I hardly feel sore anywhere at all. Please don’t think that I’m bragging here – I know we’re all different, plus it seems to me that my biggest challenge conquering this marathon will be of mental nature. I’m sure anyone who’s ever run a marathon can agree that the mental challenge can prove to be tougher than the physical. 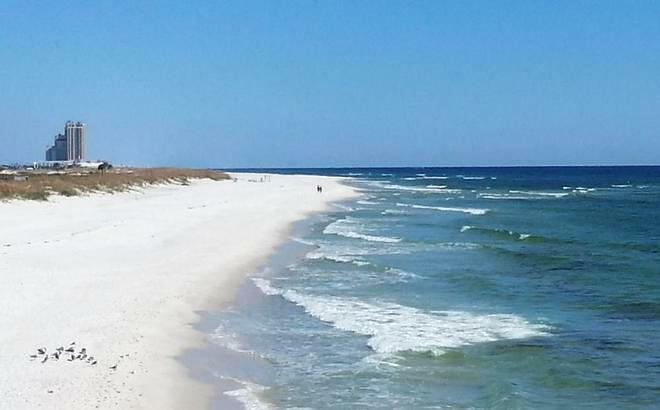 Only later in the year can you find these beaches so open and peaceful! Naturally, during the summer they are covered with beach-goers. Not that I have anything against that, but I was glad to snap such a pretty picture without any people in it (except for a tiny couple walking far away, but they actually add to the picture, don’t they?). I’m glad that everything went well in week 14 of my marathon training – the 15-miler on Sunday really added some confidence. 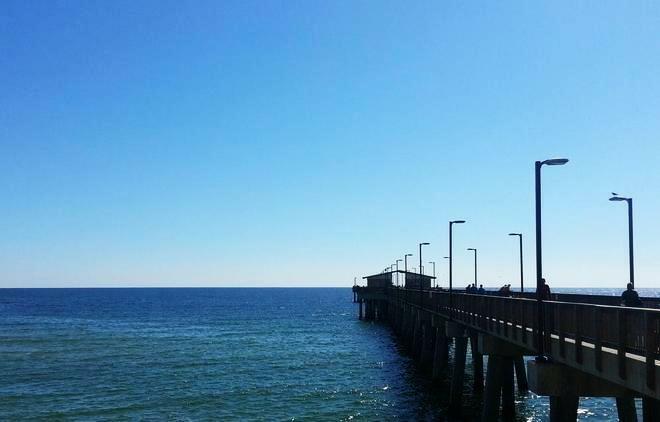 Only 2 weeks to go till Pensacola Marathon is here! To see my other posts about marathon training week-by-week, click here. Announcement: Two New Series to Launch at Vegan Runner Eats! Tagged inspiration, marathon training, Pensacola Marathon 2013, running shoes. Bookmark the permalink.